For a while on Thursday, Netflix officially ruled the media world. Its market value soared above $153 billion, overtaking Disney as the most valuable media company. Netflix (NFLX) shares were up Thursday even as Disney (DIS), Comcast (CMCSA) and the broader market fell. But Disney regained the crown by the close after Netflix shares pared their gains, taking the streaming company's market cap below $152 billion. Netflix is still in second place ahead of Comcast, which it passed Wednesday. The cable giant is now valued at about $145.5 billion. 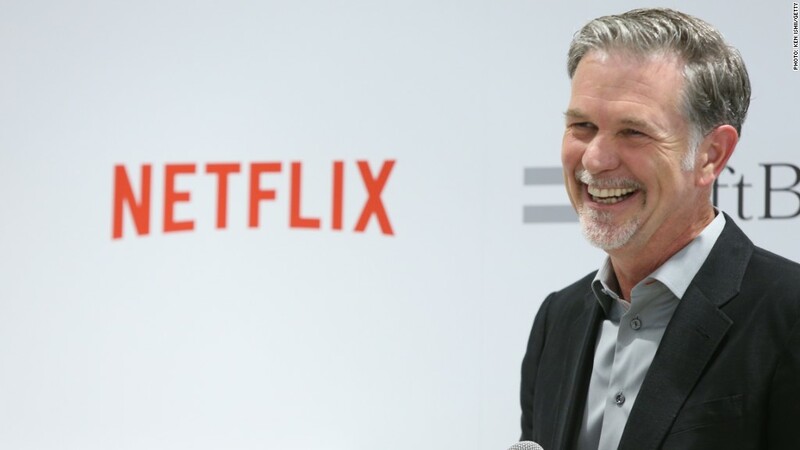 Netflix has added millions of subscribers around the globe for the past few years. The company's success demonstrates that its bet on original content -- shows like "Stranger Things," "Orange is the New Black, "The Crown" and "13 Reasons Why" -- has paid off. The company even announced a price hike for subscribers last year, but that hasn't slowed its growth. Disney plans to launch its own streaming network. But that hasn't hurt Netflix yet, despite the fact that Netflix airs many shows based on Disney-owned Marvel comic book characters. Competition from Hulu -- the streaming service backed by Disney, Fox and CNN parent company Time Warner -- hasn't really dented Netflix's growth either. Nor has Amazon (AMZN) Prime Video. Before this week, Netflix had already passed most traditional media companies, including Time Warner (TWX), Rupert Murdoch's 21st Century Fox (FOXA), CBS (CBS) and Viacom (VIAB). Netflix is now getting closer to telecom and media giants AT&T and Verizon. Both companies are worth about $200 billion. The Justice Department has sued to block AT&T (T) from buying Time Warner. A federal judge is expected to rule on the case by June 12. Verizon (VZ) owns AOL and Yahoo.